Given the new information and communication technologies, Posts worldwide has been renewed in order to keep up with market changes. Diversification has been the key element to any successful strategy in the postal sector. In modern times, with the customer as the focus of their attention, reconciling universal services, innovation, profitability and quality, has become the greatest challenge for survival of post services. The presentation covers the social role of CorreosChile, a state owned company, with a vocation of service, but that has got (by law) the obligation to be autonomous from the state (government), sustainable, self-financed, and of course profitable. He will review the main issues and mile stones of the last 2 years. And how it was possible to overcome from a crisis situation, in a market position with uncertainty, passing to be a financially solid company and with a strong vision of the future built on 3 pillars: innovation, tenacity, and simplicity. CorreosChile today raises as a company passionate about delivery and service, converting itself in one of the most respectable firms in Chile, acting as a relevant actor in a competitive market in the called digital revolution, that challenges the global industry. From this point, seeking to become a global reference in the postal services, logistics and courier markets, and for the people, in and outside Chile. Economic, social and technological development and the role of new players in the postal business have led to a further restructuring of public operators. The ability to adapt gradually to different situations in the industry, such as technological replacement, economic crises and more demanding consumers are also clear reasons for the strength of the change in the new leadership that the industry has demonstrated. The future vision of the postal sector must continue to urge the processes of modernisation in the regulatory area, and lean towards a technified operation. The fulfilment of financial inclusion becomes necessary with the restructuring of the UPS. The presentation will begin by examining the current situation of the postal services in our region, before moving on to discuss changes in the postal environment – where is the postal sector going? – plus PUASP's actions in the near future. The United States Postal Service is in the midst of a financial crisis. The situation is serious and solutions will require time and political will, but with the right actions, the savings could far surpass the losses and position the Postal Service for success in the digital age. The opportunities for posts in the digital market are exciting. E-commerce is becoming m-commerce, and demand for packages both domestically and internationally is exploding. Addressing the challenges of global commerce is critical to enabling the success of large and small businesses as well as posts around the world. Different business models, alternative networks, strategic partnerships/ Regional focus - visions for the future of posts in Latin America and the Caribbean/ Market development – opportunities in the sector for collaboration, knowledge share and exchange of ideas and best practice/ Emerging business challenges, key business measures. Regional economies in Latin America formed by small and medium enterprises have the potential to increase their volume and expand their business beyond each country through e-commerce. Postal operators have a unique opportunity to convert their traditional business model into a new business model based on parcels: the logistics partner must be a key partner of online retail stores. How can logistics increase the e-commerce conversion rate and develop a competitive business strategy? The presentation will outline the key factors to consider when optimizing logistics of online sales channels, plus the advantages of total integration of an e-commerce site with a logistics operator. Facing the challenging new world of declining letter mail business national postal operators are exploring a diverse range of options to grow business in new markets. ECommerce, both nationally and cross border, is perhaps the most significant emerging opportunity today to maintain and grow parcel volume and revenue by capitalizing on existing infrastructure. This presentation outlines a strategic framework on how national postal operators can leverage their unique last-mile delivery assets and respected national brands to position themselves in the dynamic eCommerce marketplace, both domestically and cross-border. It will discuss current trends in eCommerce, the critical elements for success and present a major case study. Global e-commerce has been growing, on average, at a rate of 19% each year; as mobile e-commerce is providing consumers with new payment methods to purchase goods and services online, it will develop with an even faster pace. In Latin America today, Ecommerce is still very “domestic.” Cross-border trade drives only 12% of the overall Ecommerce growth. By 2017, Ecommerce sales in Latin America will skyrocket from $87B to $220B. However challenges to growing cross-border ecommerce will continue to exist without significant investment in localized platforms, payment options, addressing security concerns, and delivery logistics. bpost went through a successful transformation. As a result of e-substitution and the e-commerce boost, the company is redefining its business strategy with investments in parcel activities, international expansion and innovative solutions without neglecting to focus and invest in the core domestic mail business. The global postal industry is currently undergoing a process of transformation in response to an evolving market. This is resulting in both structural and organizational challenges and considerable opportunities. In his presentation, Herbert-Michael Zapf will highlight how exponential growth of e-commerce and integrated communications can provide a truly unique opportunity for postal organizations to reposition themselves. Postal operators need to address evolving customer demands in a digital world and develop new business models to help them become major international service providers in a competitive marketplace. Since the publication of our first report in 2006, Accenture has undertaken in-depth research of the postal industry. The challenge is on for postal operators to face an industry in profound transformation. In this presentation we will reveal the latest findings from our sixth study of high performance in the postal industry and the need for postal organizations to reinvent their companies as they navigate transformation. Global trends and development of the postal industry are forcing DPOs across the world to rethink strategies and reshape business models, while meeting USO requirements. We’ll review some key challenges, drivers pushing change and lessons learned. However, most important are the opportunities and challenges that DPOs must consider in order to play a role in the fast-growing e-commerce space and rapidly changing postal environment. All of this stems from different scenarios that DP DHL, the world’s leading mail and logistics company, has identified as potential developments of the world’s economy and our industry, both of which will continue to reshape our business. The European postal market has been liberalized for more than 10 years, successfully so in some countries such as Germany. This step generated many new requirements for the alternative operators and the customers. Like in the telecommunication service industry, with the liberalization of the postal market and the new way to perform last-mile delivery, the whole industry has changed its way of handling and delivering mail. The presentation will provide a quick overview of how this was achieved and what kinds of solutions were required to make this step successful. As an important player, Pitney Bowes presents a quick overview to inspire other markets to learn from its experiences. We have three main challenges for 2013 in order to support the growth of e-commerce in our country: confidence for all the consumers or individuals, payment security, and better/cheaper/more efficient delivery and logistics systems. The idea is "major access for several businesses and products in domestic and global cross-border parcels shipping". From 2011 to 2012 e-commerce grew 45% in Mexico, and this rate could be higher during the following years if our industry understands the needs and strategies for the evolution. Global e-commerce has been growing dynamically and is expected to pass the 1 trillion euro mark by 2013; total number of internet users may reach 3.5 billion according to IMRG, a UK online retail trade organization. This tremendous growth represents a great opportunity to e-business. However, evolving consumer demands might also be a challenge to the emerging industry sector. Research shows that one of the factors online shoppers expect to improve significantly is the delivery process. Rafal will share his expertise on how consumer expectations have evolved and how postal operators can respond to a growing challenge. The Postal Infrastructure governance and management Framework (PIF) will be presented. The framework addresses governance and management processes related to the project, construction and maintenance of postal assets such as distribution centers, sorting centers, and post offices. These processes deal with the definition of a strategic infrastructure plan, investment and operational expenses portfolio management, ecological sustainability management, procurement and contract management, monitoring and evaluation of internal controls, postal buildings portfolio management, compliance, and risk management. The framework has a six-level maturity model, based on seven attributes. It also contains an implementation guide to assist postal administrations. The same postal services are used worldwide. However, the characteristics of each postal market can be very different. This in turn has an influence on the regulatory choices of national (and supra national) authorities. In Europe in particular, postal regulation has developed with a strong aim to create a true EU single postal market. In these varied regulatory contexts, the business environment continues to evolve and all stakeholders (regulators, operators, customers) have to find the best way to deal with this. The presentation introduces the milestones of European postal regulation and draws comparisons with LATAM countries. This presentation will look at the high risk of failure of innovation projects, Brazilian society represented by the regulatory bodies, Internalisation of new technologies - how Postal services are constantly improving its process by adopting new technologies, premised by mail - innovations can impact the business model and processes and products, innovations that impact the business model - improving with more lasting results, a summary of the current process of the adoption of new technologies for Posts and also the ongoing project - Smart phones for postmen. Confronting the challenges of declining mail and digital substitution, means an opportunity to cannibalise our own products with alternatives. Parcel deliveries for fast and nationwide e-commerce services require adaptations in the customer interface to enable service level monitoring on a day-by-day basis, presenting challenges to the traditional track-and-trace model of express services. Converting the conventional strategy of service offering (post and parcel) to the market to a pull strategy oriented towards the end-user is the key to recovering market space for Posts. By approaching the customer and giving him new delivery choices, open service windows, easier access to information and channels to return his purchases, opens up a whole new world of service demands (including digital post) requiring sensitive technology and a change in organizational focus in our Post. International e-commerce is THE area of growth in the postal business. Posts are the only organizations that can internationally manage the purchase handling, postal identification, shipment of merchandise, its customs processing and payment in a fully integrated (one-stop shopping) manner, including compliance with international security rules. The UPU provides the necessary regulation and IT infrastructure to enable every postal operator to offer this comprehensive e-commerce service to its customers regardless of the post’s development level. With traditional mail under pressure as result of multichannel technology and increased competition, postal operators are increasingly looking for new revenue streams. As with all change, software solutions can support these strategic initiatives. The presentation will highlight some examples of best practice in deployment of tools supporting new business development in the postal industry. This presentation will provide attendees with an overview of global technology trends, including evolving and next-generation innovative solutions for the intelligent/scalable processing of the ever-growing volumes of e-commerce driven packets and parcels, and will focus on the corresponding business enablers for achieving success in the digital age. Success will include examining models for the multifaceted engagement of the key components of the event-driven supply chain, demonstrating how postal operators have achieved results in today’s competitive world. The conversation will conclude with options for reshaping and transitioning the postal infrastructure into one that is future orientated. 10:45 - How easy is it to change your strategy into going digital. Secure transport of documents and data from small to big data according to compliance legislation is the key to a succesfull digital market entry. The now apparent first stage of going digital happens via the use of secure hybrid (e)mail systems and digital signing mechanisms. How can you present these services to your customers, maintaining trust in the market? How do companies and consumers react after offering these digital services by a postal company? Your ROI when you implement these services? Secure transport of documents and data is the key to a successful digital market entry. The now apparent first stage of going digital happens via the use of secure hybrid (e)mail systems and digital signing mechanisms. How to present these services to your customers? How do recipients react being offered digital services by postal companies? Does going digital mean that you lose market share? Will you gain entry into new markets? We define these possible markets and explain why you can profit using your experience as a postal company.This presentation will challenge and engage you to use this momentum. Parcel carriers are faced with the challenge of managing more and more demanding customer requirements. With the right tools, innovative parcel carriers are now able to reliably deliver orders on the same day and within well-defined hourly time slots. Through the use of mobile devices, the deliverer keeps connection with the delivery vehicles and thus maintains an overview of the status of deliveries. In this presentation, we show how optimal routes are calculated for parcel delivery in order to meet all the timelines agreed on. Furthermore, we will demonstrate how the mobile order processing is documented by the supplier so that customers receive real-time information about their shipments. Rapid change is one constant in today's postal and parcel market, not least in the Latin American region. For postal and parcel operators this is an environment characterized by tremendous opportunities for growth and development as well as factors that jeopardize the complete business model. How to invest in business systems and automation in such a climate? Flexibility is the key and Prime Vision would like to present its automation and integration experience gained at postal organizations around the globe that are flourishing despite the pace of market change and regional challenges. Continuous improvements help the courier, express and postal industries streamline their processes in the most efficient way. While volumes of shipments are steadily increasing and object sizes, shapes and materials vary on an ever-growing scale, customers expect maximum flexibility from their service provider, which creates new challenges for processes and system solutions. With high-performance identification and volume and weight measurement systems as well as the appropriate sensor technologies – designed to optimally respond to specific application requirements – Sick brings significant process efficiency and transparency improvements to sorting applications and delivery networks. PARCELCHECK uses the pattern recognition principle to assign the parcel to one of a set of predefined classes, through a set of measurements performed on a 3D scan of the item. The measurements are searched for patterns that the system has been taught to look for, for example dimensions, shape and the presence of straps or flaps. The system has integrated learning capabilities and can adapt its decision-making based on new data gained during operation. In fact, PARCELCHECK learns because it can be retaught using the data gained from the items processed. 12:25 - Renew and manage your mobile device fleet and innovate your operations at zero capital expenses! Capital investment represents one of the largest challenges for technology projects. With the proliferation of mobile devices in the enterprise, a comprehensive and cost-effective mobility strategy should be adopted to manage enterprise mobility. Mobile Devices are now embedded throughout the supply & logistics chain; it is up to IT departments to embrace new technologies in the quest of higher productivity and cost savings. What could be better that to gain access to the latest gadgets at zero capital expense. Deploying your mobile workforce can go beyond parcels and logistics, through your overall business within BYOD policies. EPS platforms (electronic postal services: e-commerce, e-payment, e-postal) as key optimizers of process and logistics (hybrid mail); digital solutions designed for the entire document lifecycle: from “host to post and to payment”. This EPS platform may have significant impacts for stakeholders, postal operators and consumers in general, following the market deregulation likely to take place in the region. The mobile industry is producing tremendous waves around the world, creating considerable implications for enterprise environments and their security strategies. The extraordinary growth of mobile devices is welcomed by those who benefit from them, but there is a huge risk factor: mobile devices make it extremely easy for anyone to access sensitive corporate information. This creates new vulnerabilities in enterprise security as users can easily add their email credentials to their device and tap into other sensitive areas, resulting in nightmare scenarios for IT Administrators. 14:00 - 24/7 – Always open! Today’s consumers live in a 24/7 world, expect unlimited access and demand the immediate satisfaction of their needs. Escher will discuss the basic principles of this evolving consumerism and how businesses have either adapted or created new models. Posts and couriers must now evolve in order to thrive or even survive. Escher will look at cases of how this has been done by its customers and conclude by presenting some new thinking about what’s next. The world, consumers and their needs and demands are changing more rapidly than ever. With the ever-increasing online trade the need for delivering high-quality products with secure, fast delivery has increased considerably. The modern postal business is not just about delivering mail and packages. It’s about creating value for customers and exploiting data to create added customer value. Our mission is to improve our postal customers' business and their customers' business. We have experienced a growing demand for solutions that elevate quality and reliability and enable cost savings through continuous process improvement and real-time item level traceability. When implemented, RFID technology delivers frictionless track and trace, logistic transparency and performance, which opens up new postal business opportunities. New products can easily be developed and mail from closed mail flows can be moved to the open mail flows – lowering costs and elevating quality and security of delivery significantly. New digital technologies are bringing “disruptive innovation” to the traditional postal business model. These disruptions, in combination with the recession of 2008, are responsible for significant declines in letter mail volumes. Postal operators can continue to play a significant role in their local markets by extending their traditionally trusted role as the national platform for physical communications into the digital space. However, they must recognize the challenges and new mindset required to compete in the digital economy. This presentation outlines a strategy for postal operators to successfully compete with the main players in the digital space, decreasing the migration from paper mail to external digital solutions.. 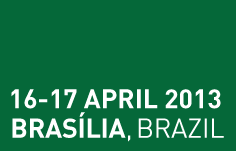 The presentation will provide an overview of the Brazilian digital economy scenario and new opportunities for small, medium and large players. There will also be discussion of the status and trends of e-commerce. In these times of declining traditional mail business and evaporating profits, postal operators around the world are seeking new growth opportunities emerging in the e-commerce sector. Having spotted new opportunities they are making efforts to benefit from the growing trends. Nonetheless, few of them know how to make them work as a win-win solution. Lukasz Nowinski will introduce a global easyPack solution and will share practical guidelines on how to make it work for postal operators. He will also share his experience from various countries and present successful cooperation case studies with e-retailers. The presentation will provide an overview of the business status of Cleveron's ongoing projects in Estonia, Finland and Russia, the key advantages of parcel terminals, and key conclusions about why parcel is the most suitable format for e-commerce. In an environment where Letter and Flats mail is in decline and most posts are witnessing sustained growth in Parcels, greater efficiency and flexibility will be increasingly required from sorting platforms. This presentation will offer a vision of an integrated post that benefits from adoption of digital communication technologies and quickly achieves higher operational efficiencies through a flexible multi-vendor data platform. Consumer behavior is rapidly adapting and evolving in response to the multitude of shopping, purchasing, and delivery options. Social inputs like online reviews and comments are currently impacting one-third of consumer spending. Within a decade, it is anticipated that this impact will approach 80% and will incorporate not only the products and services themselves, but also the associated delivery performance and experience. It is critical for Posts to monitor such social inputs and to understand how they contribute to the total spend of each customer--not as a marketplace segment, but as an actual individual or entity (a "segment of one"). This presentation will focus on Smarter Commerce approaches that can support this "segment of one" objective as well as generate increasing value for the Posts' partners to better serve the end consumer. The growing Latin American middle class will create conditions for consumption growth, and accelerate the movement of goods in the region. Increasing employment of the population by promoting small businesses creates conditions favorable for the new parcel delivery solutions. Parcel terminals are excellent way to start a business at minimal cost, develop new business ideas and contribute to overall economic growth in Latin America. The presentation will provide an overview of modern and innovative solutions for the movement of goods, which are creating opportunities for market participants.